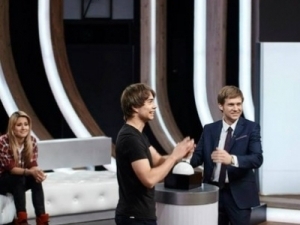 First show of “One to One” – broadcasted February 8th on channel Russia 1. 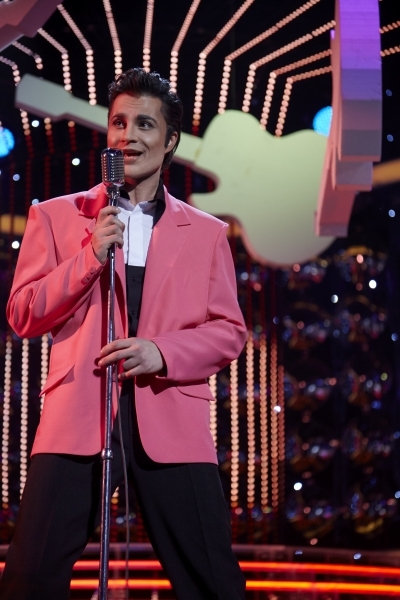 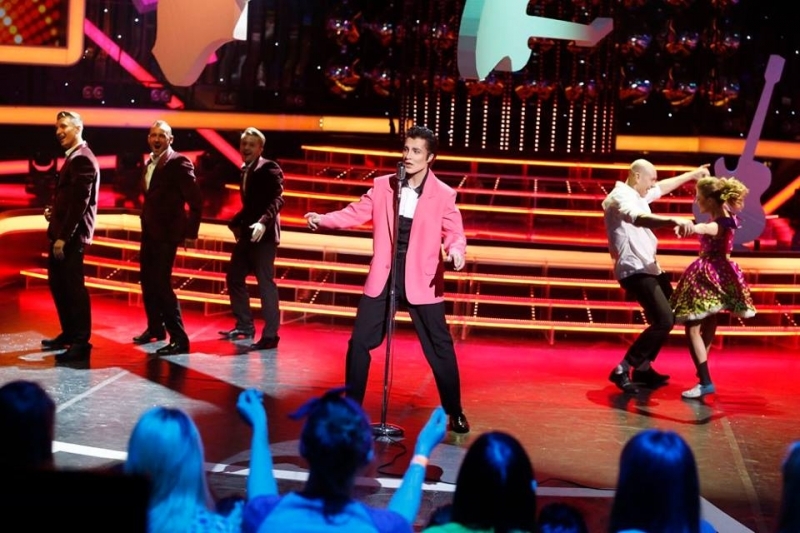 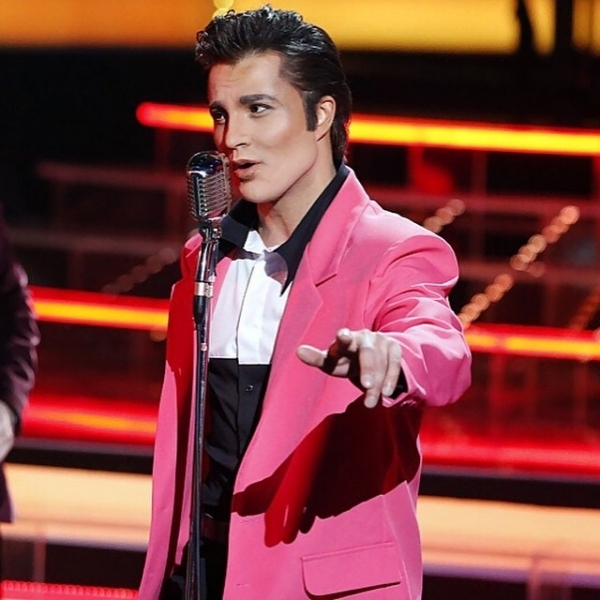 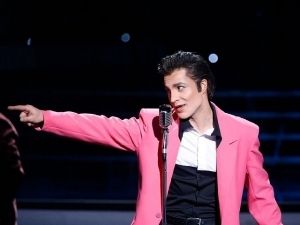 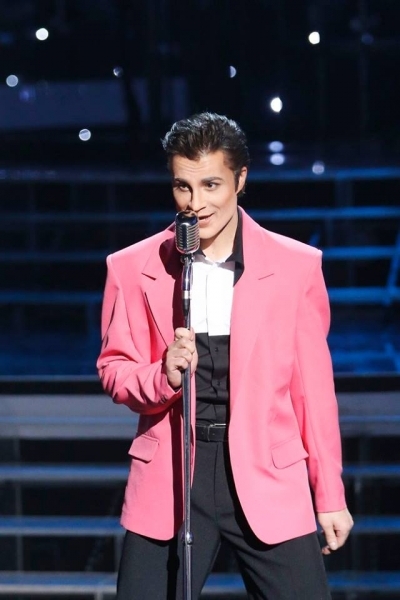 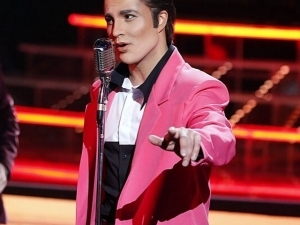 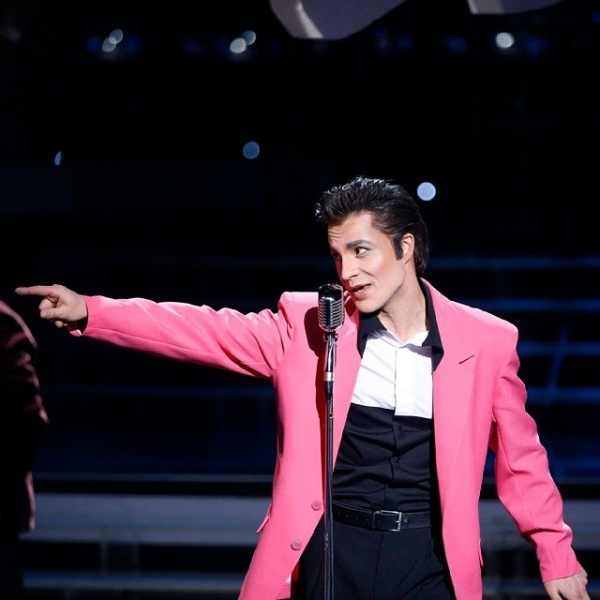 Alexanders first challenge in “One to One” was to impersonate Elvis Presley. 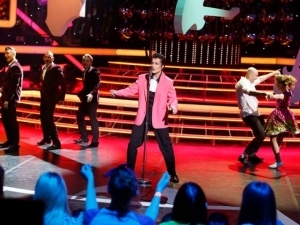 He chose to perform the song “Don´t be Cruel“. 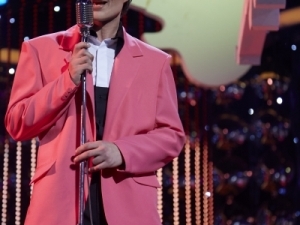 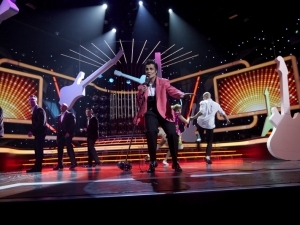 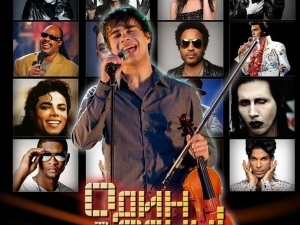 The contestant, who gets the highest score of votes, gets to perform the winning song in the final of each show. 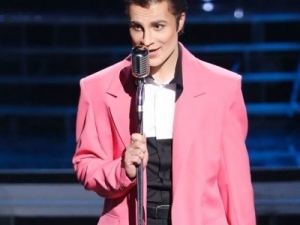 In this first show, Alexander shared the 1st place in votes with another contestant, but the jury picked Alexander as the winner. 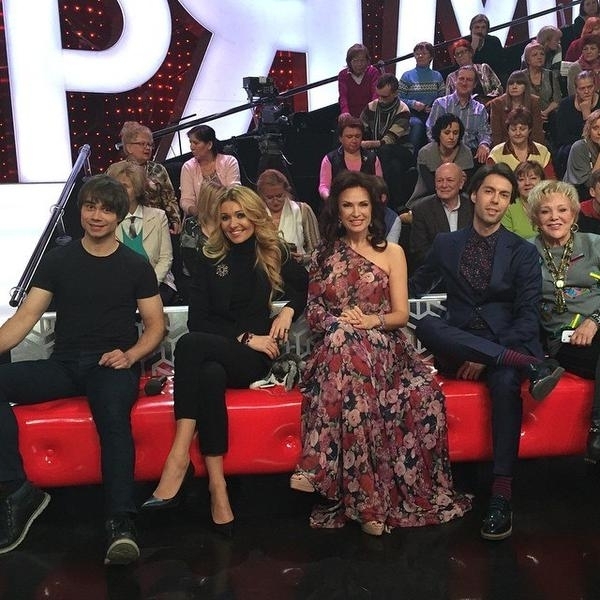 together with all the other participants from 2.35.40 in this video of the full show. 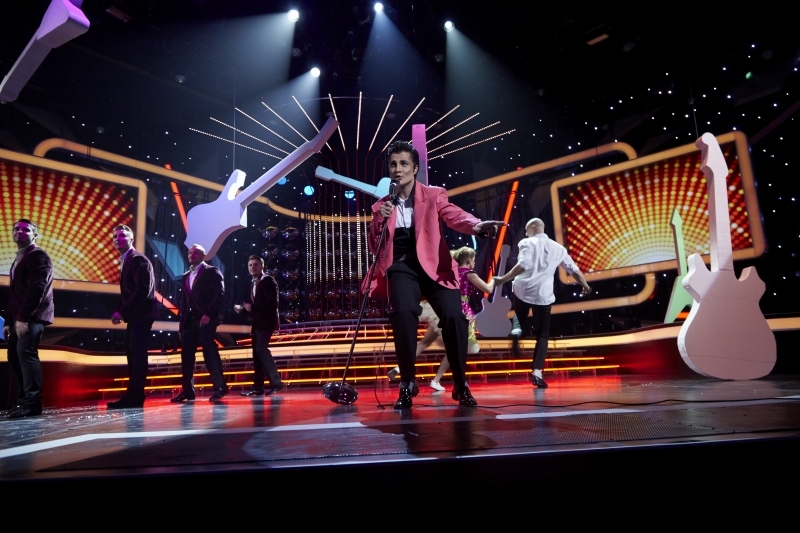 you can see a little more of the preparations before the performance. 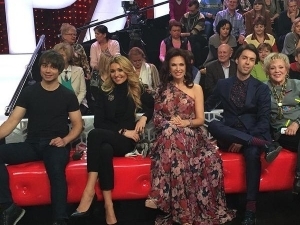 Стильно, сексуально, мощно! 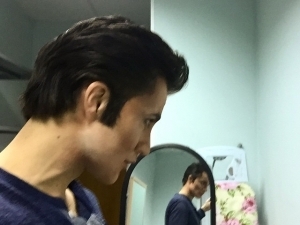 Один в один! 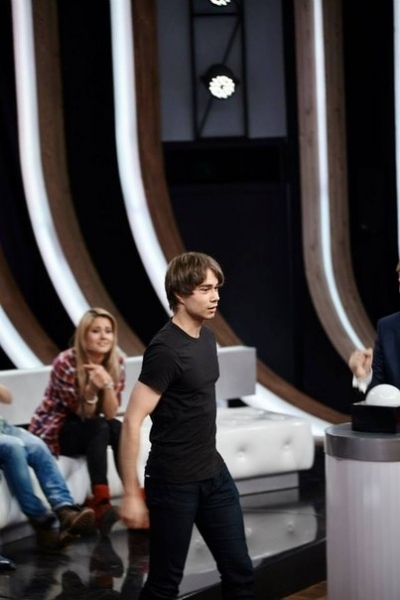 После этого видео решила посмотреть все видео в интернете про Александра Рыбака…. 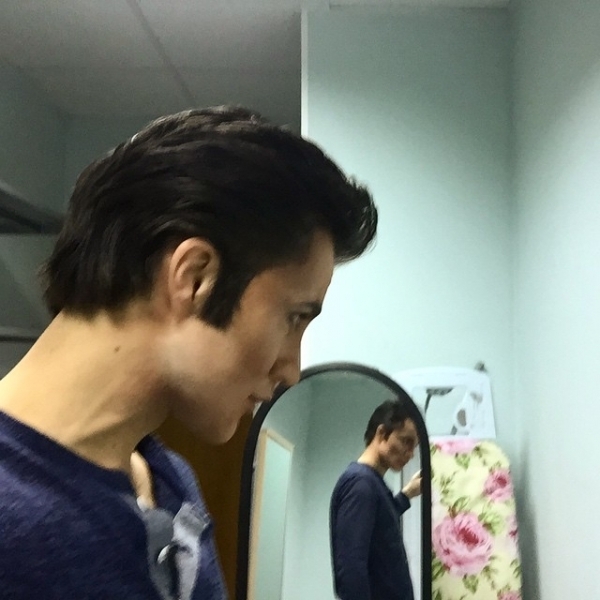 Так держать!